Queens have completed the signing of midfielder Andy Murdoch on loan from Rangers until the end of the season. The play-maker signed on at Murray Park in 2007 as part of the under-14s set-up and has progressed through the youth ranks in the past few seasons. His performances for Everton boys club in Paisley saw the battling midfielder sign on at the Light Blues after trials with Dundee United and Celtic. Andy has represented Scotland in the Victory Shield and captained the Light Blues? under-17s to Glasgow Cup success in 2012. Murdoch is currently captain of the under-20 side and led the team to victory in the SFA Youth Cup Final. The midfielder made his debut in the first team in 2013 from the bench against East Fife in a 5-0 victory. He then came off the bench to make his bow at Ibrox in a Scottish Cup tie against Raith Rovers in February 2015. He has most recently sent time on loan at Cowdenbeath. 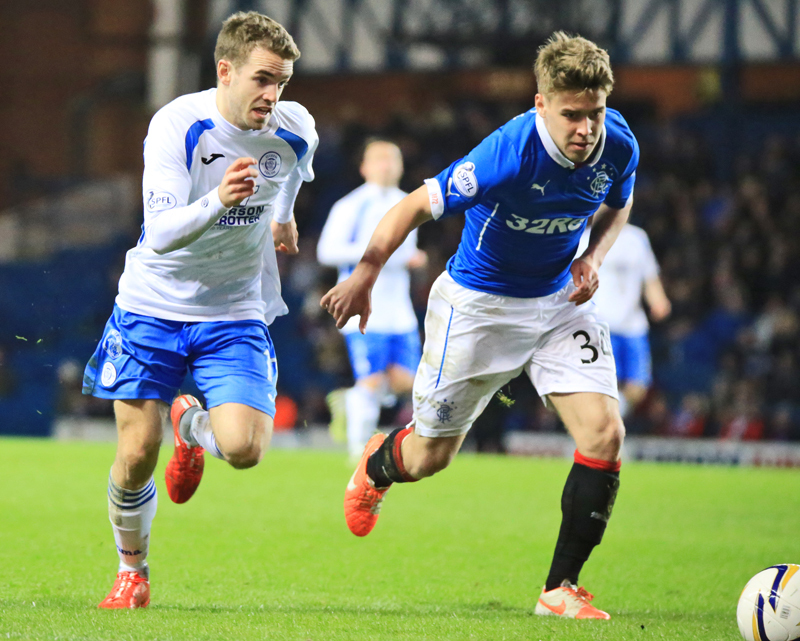 Rangers manager Mark Warburton is keen for the youngster who turns 21 at the end of the month to get experience. Murdoch joins as Queens boss James Fowler shuffles the pack during the transfer window. The boss added "Andy is a very exciting young player, who for his age has a wealth of first team experience under his belt already. There were several other clubs interested in signing him so we are glad that he has choosen to join us. We hope he can help us push on and achieve our aim of a top four finish".